Update: Since the GDR2 update, the Lumia 810 now has FM Radio support, as well. 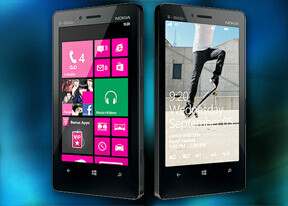 The Nokia Lumia 810 audio output is identical to that of the Lumia 920 flagship. Sadly, that one didn't quite manage to impress us and even though expectations were lower here, the result is still average at best. 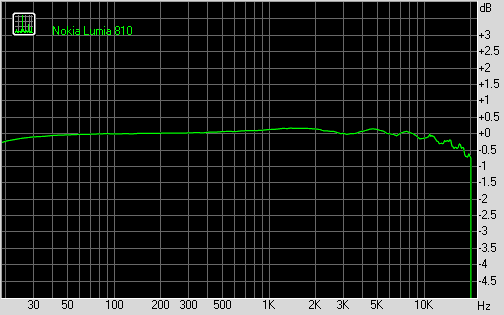 When connected to an active external amplifier, the Lumia 810 mostly managed good scores with the higher than average intermodulation distortion the only exception. Volume levels were еxcellent, but as most modern day smartphones get almost perfectly clean output here, so the overall performance is hardly worth writing home about.